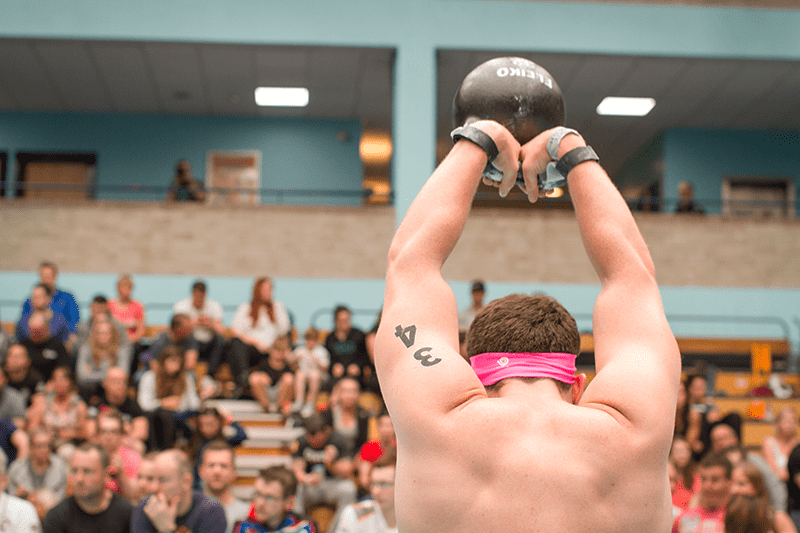 Being a coach to several athletes who compete on a higher level, I often get asked for tips related to improving a Crossfit competition performance. 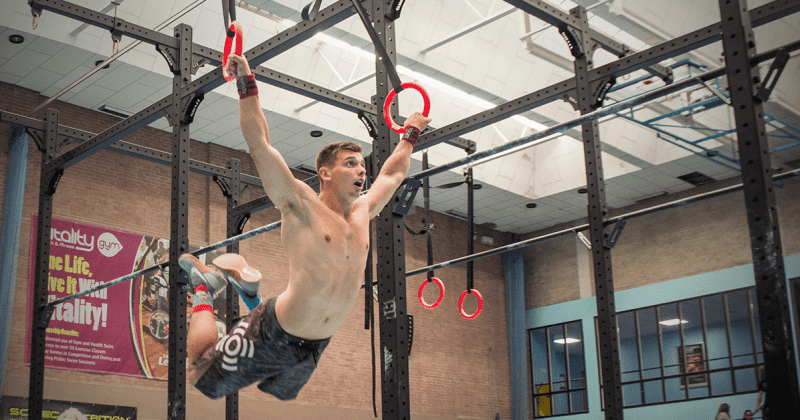 In this article I will offer my personal best-of list with useful and easy tips, which will make your Crossfit competition experience more successful. In my opinion “successful” is not defined by the score on the final leaderboard! Is the athlete able to execute? This means: is the Crossfit athlete able to show his 100%, what he trained for, by executing his skills at the crucial moment, when everyone is watching and the pressure is on. Over the years I saw multiple athletes who were great in training, had all the skills needed, trained for months but end up “crashing” because of a little mistake they made the day before or during competition period. Do not be that guy or girl. Execute. Do not just train for a Crossfit competition. Make a prep plan with your trainer or by yourself. Take at least 12 weeks straight, clever consistent training with working on weaknesses, strength building and engine work. There is no easy way to perform to the best of your abilities. Take the long way. If you did everything or nearly everything correct in preparing for the event physically also do your mental homework by focusing on all the work you put in, all the hours in the box and the pain you suffered during training. Be confident and show it. You are able to do it. At most Crossfit competitions you will do 3-4 workouts a day. If you are attending a multi day event, it may add up to 8 workouts in two days, which is extremely demanding for your body and its functions. In most cases the only normal meal will be the breakfast. Focus on that! This could safe your life during those days competing. Try to consume up to 1000 calories (I am not kidding) at breakfast. It will build enough foundation to offset at least the first workout. Eat breakfast 2-3 hours before the first workout. Later, eat and drink after each! workout, even if the WOD was one max rep lift only. There are thousands of Crossfit competition articles on what should be included in those meals. In reality athletes will even find it hard to eat anything. Therefore just eat something. Please no garlic soup, which was made by your aunt. I tell my athletes to make an eating plan beforehand and stick to it. This seems to be a no brainer, but in reality every competitor is warming up for event one only. I barley see any Crossfit athletes in the warm up area after event 2 and 3. Warm up should stay in the sub 20 minutes time frame. There is no need to warm up for a whole hour, especially when four events are coming that same day. I personally have a 3-time 5 minutes rule. Five mins of a general warm up (row/run), 5 minutes of specific (movement prep for the particular Crossfit workout) and 5 minutes WOD flow prep where I test upcoming movements. Even if you feel crappy, try to hit the rower for 5 minutes after each workout. Slowly decreasing your heart rate will speed up your recovery. It’s always good to have a plan before the workout start, but sticking to it is much harder. There is a Mike Tyson quote: “Everybody has a plan until the first time a fist hits you right in your face”. Try to not get hit in the first two minutes of each workout. Stay focused and relaxed until 70-80% of the workout is done and then it is game time. 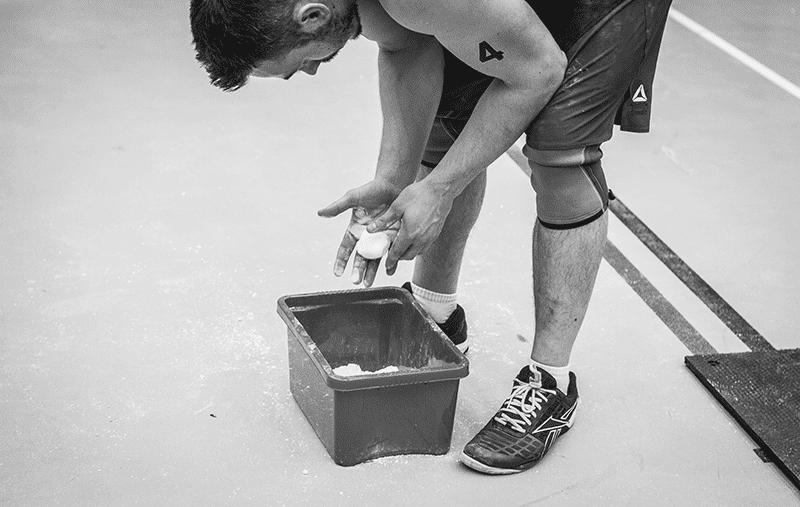 This 20% at the end of a Crossfit competition workout make them so special. In that moment you can outreach your personal potential. There is no rules anymore. Just you and the given task. Execute. There are this special moments. I have been to a Crossfit competition with a 5K rowing time trial and my computer failed after 750 meters have already been done. Yes, this happens. I had to redo my rowing, lonely in the corner of the competition area. In those moments you can win or lose a competition mentally. Shake your head, refocus and execute. Adapt, get your reps and move on. Nothing more to say. For more coaching advices contact Jakob.